Owning a portable cot should means it’s possible for your baby to sleep wherever you go. The reality is that portable cots are generally the most uncomfortable bed of all! The clever crew at Junippers have weaved their magic, transforming uncomfy portable cots into restful, sleep inducing havens for babies with their smart product, The Sleepover. Click on through to find out more. For something so handy as the portable cot, its convenience is often met with trepidation from parents. Portable cot bases can be too hard or too slippery and normal cot sheets easily slip out from under the base, posing a risk to safe sleeping if little children become tangled in them. There’s an easy fix to this in The Sleepover from Junippers – it’s both completely safe and foolproof, ensuring your little one sleeps safely all night long. What is this seemingly magical The Sleepover, I hear you ask. It’s a padded, fitted cot sheet especially designed for portable cots. No more summer holiday nights spent listening to bub roll around on the hard mattress base or worrying about loose sheets, The Sleepover has your baby’s safety (and sleep!) covered. Unlike a traditional fitted sheet with elacticised corners, The Sleepover fits completely over the portacot base by effectively encasing it within its two pocket, envelope like casing. Such a fit makes it impossible for The Sleepover to move or be removed, other than by an adult. An extra safety feature of The Sleepover is its ability to still secure the base to the bottom of the cot, as recommended by some portable cot manufacturers, by using velcro fastening strips through the bottom of the cot. 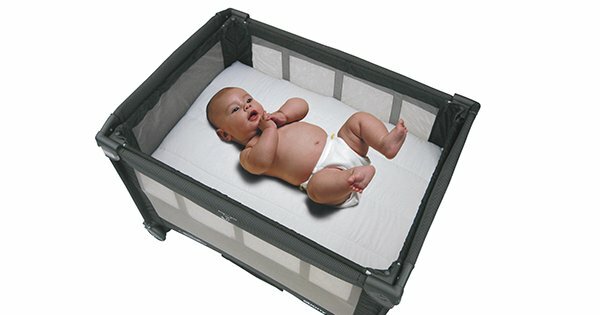 This exclusive, unique and patented safety feature of The Sleepover completely removes the possibility of entrapment of infants, so you can be rest assured your baby will sleep safe. Made from pure cotton, there’s no need to use additional sheets since The Sleepover is so easy to care for. Just like any other sheet it can be washed in your washing machine and tumble dried. 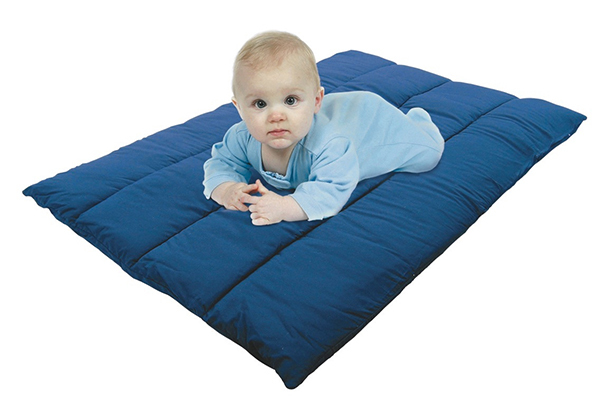 Sized 75 x 110cm The Sleepover fits most standard sized portable cots. 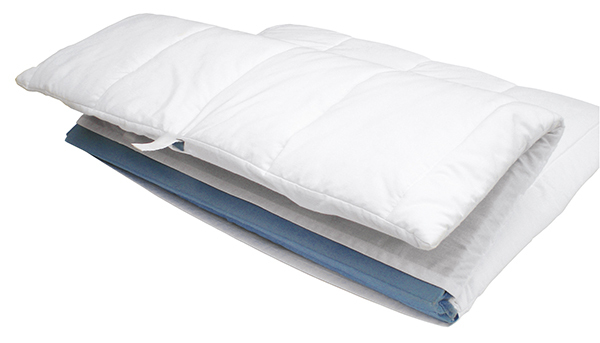 Choose from white or navy blue, The Sleepover is priced just $39.95 and can be ordered directly from Junippers. Be sure to get in quick and secure yours before heading off on Christmas and summer holidays!